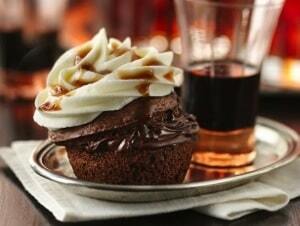 These Rose Wine cupcakes look and taste delicious. They are a dream to make and everyone at your party will be raving. I am thinking Valentine’s Day cupcakes with their beautiful pink hue. Heat oven to 350°F (325°F for dark or nonstick pans). Place paper baking cup in each of 24 regular-size muffin cups. Make cake batter as directed on box, using cake mix, water, 1/2 cup wine, oil, egg whites and food color. Divide batter evenly among muffin cups (about two-thirds full). Fit #6 round tip in decorating bag (opening about 1/8 inch in diameter). Spoon raspberry jam into decorating bag. Insert tip in center of cupcake, about halfway down. 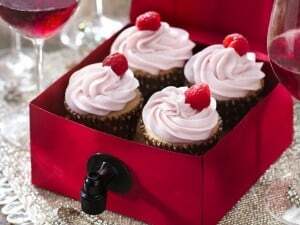 Gently squeeze decorating bag, pulling upwards until cupcake swells slightly and filling comes to the top. In large bowl, beat powdered sugar, butter and salt with electric mixer on low speed until blended. Beat in 1/3 cup wine. If frosting is too thick, beat in more wine a few drops at a time. Frost cupcakes. Garnish with raspberries. 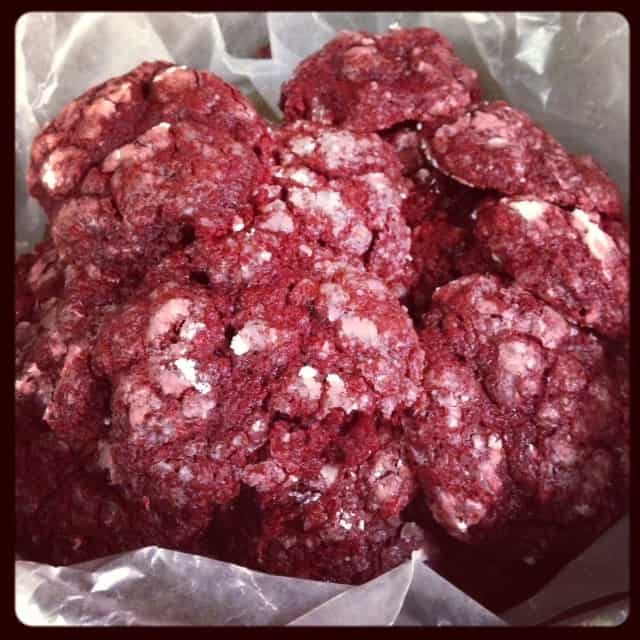 Thank you to Betty Crocker for the permission of posting this recipe in their Betty Crocker Spark newsletter.